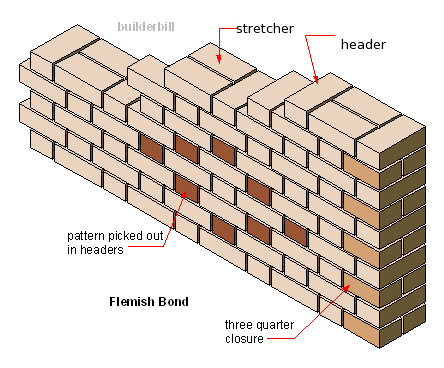 In brickwork a bond consisting of alternate headers and stretchers in each course. Each header being centred on the stretcher above and below. 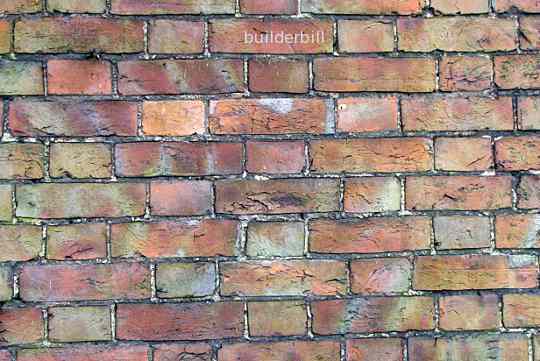 In brickwork, bricks that are of a darker colour than the main, used to pick out patterns. Another very common bond in old walls. The layout of this bond lends itself to patterns so it is often used for decorative work when there are different coloured bricks available. 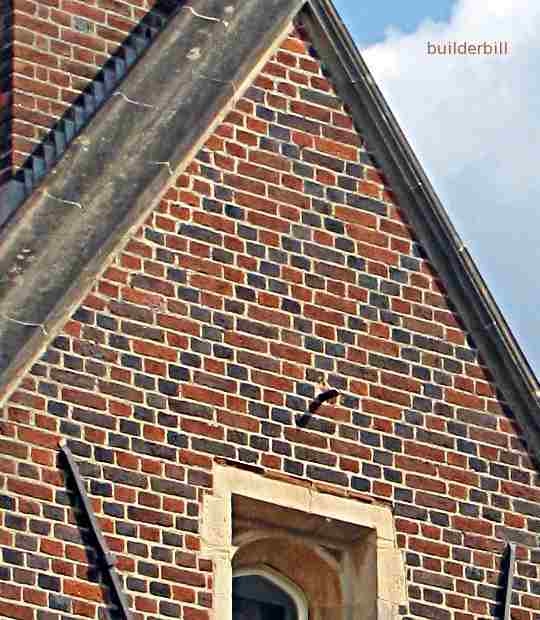 This old example is typical of brickwork that was built before the modern era. The art of brick making must have always been a bit hit and miss, with no chemical analysis of the materials and only approximate temperature control of the firing process. Add to that the fact that there would be large variations in any one firing, depending on the position of the bricks in the kiln and the stacking of them. It's strange that after many years of producing perfect bricks, modern manufacturers are now adding to their product lists "rusticated" bricks that hark back earlier times to once again put some character back into the materials. Over the years these old walls have been repaired and the pattern is not as good as it was when first built around 600 years ago. Just one of the many ways of picking out a pattern with Flemish bond. The black bars are wrought iron, connected to something similar on the inside via tie rods, to keep the walls firmly in position.